When we first started homeschooling, I used Sonlight Curriculum, which (at least in the early years), is pretty much ALL reading aloud. I love that in theory, but somewhere around the third week of school I had to come to terms with the fact that I suffer from some kind of read-aloud-triggered-narcolepsy. It was brutal. I loved the books, and fought it hard, but eventually I had to give it up, and a better curriculum fit for us. By then my boys had a huge stockpile of good books, and a genuine love for reading. Whether you read to your kids, or they read to themselves (or hopefully both!) 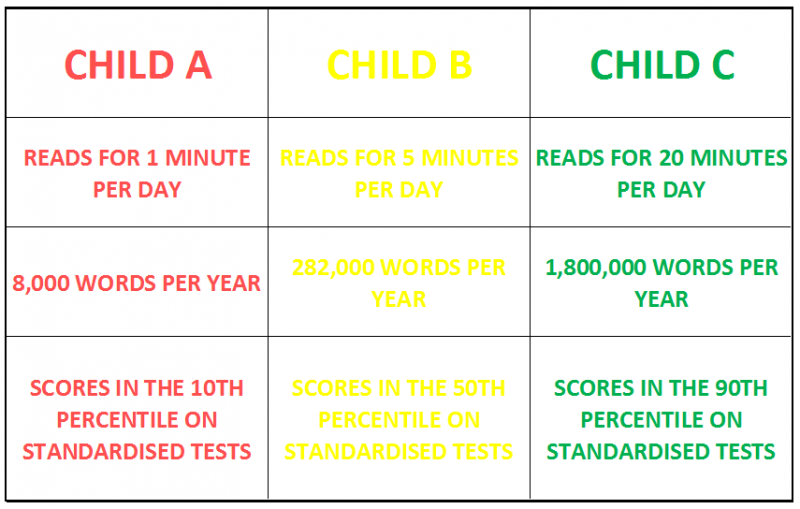 we know that kids that read a lot have an advantage. There is no arguing that reading is really important and kids who develop a love for reading benefit in many ways. 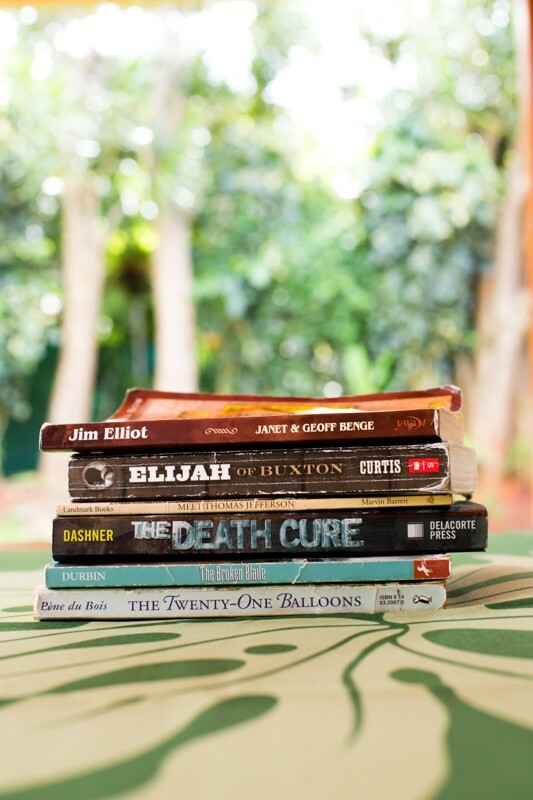 So…WHAT DO MY BOYS READ? I wouldn’t claim that any of my boys are big bookworms. They are so busy and active, that sometimes reading comes after everything else. And it’s a discipline. With that said, they all do enjoy reading, and thankfully, they’ve been exposed to some really good books which have made them love reading all the more. 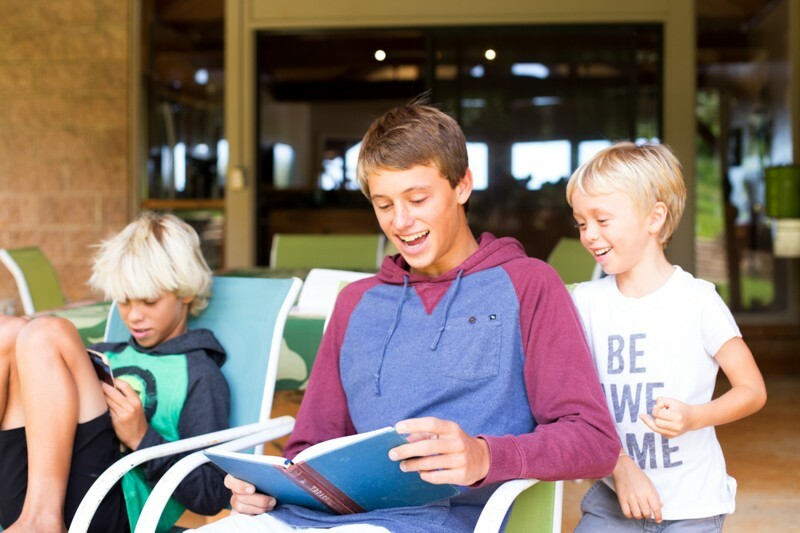 The boys all have assigned literature through their Abeka homeschool curriculum. This is a mix of short stories, poetry, Biographies, and and excerpts from great writing. And we LOVE it all! On the side, and for book reports, the boys get to choose books. We steer them to a lot of older books, Classics when possible. We still order a lot of them through the Sonlight Curriculum catalog because they have such a great selection of quality books to choose from. (Note: If you go to the Sonlight online store, just click on “Subjects” then “Language arts”, then choose a grade and you’ll see all of the “readers” suggested for that grade. It’s a little complicated to get to, so I’ll just share direct links via Amazon for each book here. However, you might want to order the Sonlight Catalog so you can see what they offer for all grades in catalog version! Here is a list of each of the boys’ favorites from the past year or so. Eventually I’ll fill in with other books my boys have loved over the years, and keep a list on a page in my menu bar!…I’ve been meaning to do that for so long! Now, don’t forget that you have until Sunday night to enter to win a copy of My Best Friend’s Funeral, so if you haven’t left a comment at that post, hop back over! Your turn! 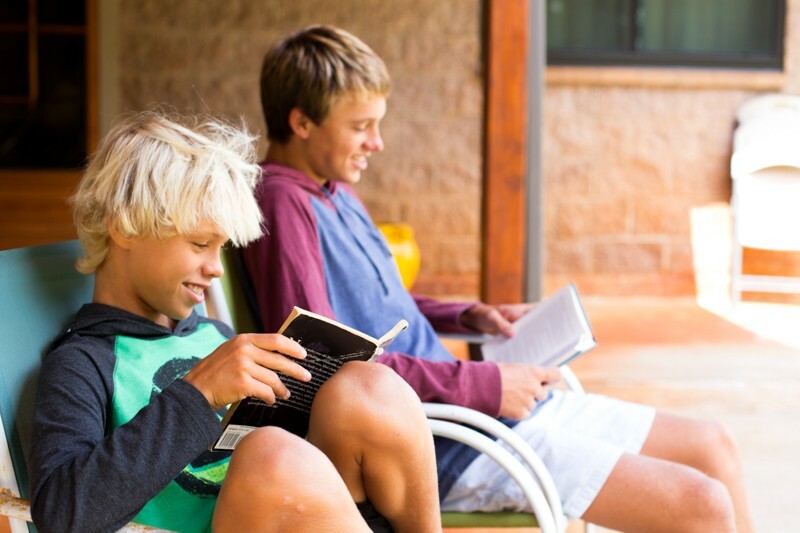 Do your kids love to read or is it a challenge to make them read? Share in comments any books your kids love, or any tips or tricks you’ve used to motivate them! Have a great weekend, and see you soon! PS As always, if this post has been helpful or encouraging, please do PIN and SHARE it so your fiends can read it too! Mahalo! Thank you Monica. I’m inspired to find books that make my boys think and dream. I appreciate you sharing. Any ideas for a 7 year old struggling reader? Another great thing that has happened recently in terms of books for boys is the publication of YA versions of some really good history books, like Boys in the Boat and Unbroken. The ‘full’ versions might be a bit too much for some boys, but this way they are exposed to great stories – and can maybe even share the experience with Dad! I have 3 boys and always read to them when they were little. My youngest is 13 and we still read together off and on. He is usually choosing something digital. I usually end up reading to him as he doesn’t like to read himself, or feels that he reads too slow. (He likes listening to stories on Playaways) Your list of books is helpful to have. 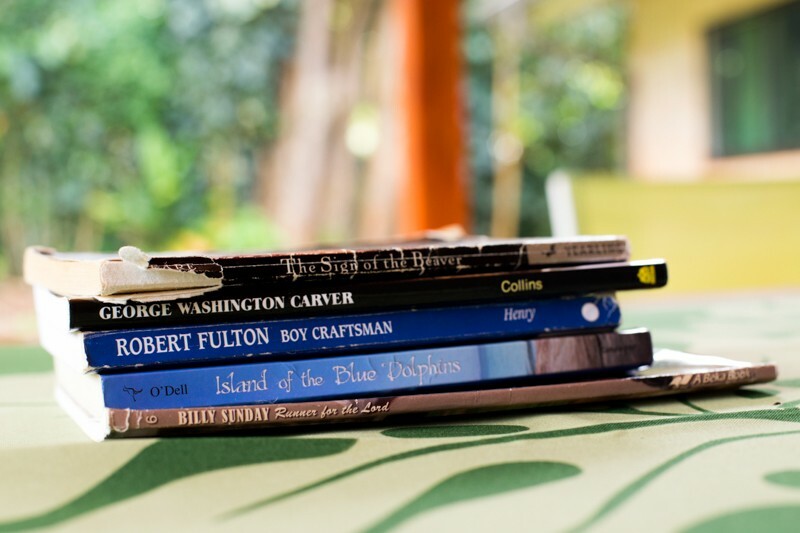 So many choices…..
My oldest always loved to read and even now, he will choose to read for hours at a time or he will reread one of his favorite books. My youngest son and I just read, or, I read aloud to him, Lost on a Mountain in Maine. It is a true story. It was a short read and written from a young boy’s perspective. Very interesting story, worth reading for any boy. The whole story is amazing. I have now had two sons leave for college, as of this Fall. I remember all the time I spent reading to them. I’ll never regret the time we spent reading together, or all the trips to the library, or all the trips to the book fairs, or the money I spent on books. It was all well worth it. If you have any time to yourself…..one of the best books for parents is Jim Trelease’s Read Aloud Handbook. It is the book that shaped me into the reading momma I became. Happy Reading to you and everyone following your blog! There’s a great graphic novel version of the lost in Maine story now: Lost Trail, Nine Days Alone in the Wilderness. (http://www.amazon.com/Lost-Trail-Nine-Alone-Wilderness/dp/0892729457) My boys re-read it regularly! Thank you so much for this list! My 3 kids are avid readers and I am running out of good books for them to read! I am always thankful to find a list like this; thank you! I 100% agree with Sonlight list for boys! We read Sonlight for years and our boys are still readers!! My second son is reading Go Set a Watchman- he wanted to form his own opinion about it!! Just want to say I enjoy reading your blog. I also want to introduce you to our business Tomorrow’s Genius where we tutor high school and middle school kids online. My son (14) reads while walking with me through the grocery store, or just walking down the street. He never puts the book down. My daughter tries to copy him. Both my babies read in the car, no matter how short the drive. I read the Bible to them and we have discussions afterwards as a family. When my son was little I read to him some Children’s classics, and now I get to read them to my daughter. Its her favorite time of the day. We read Winnie the Pooh, Narnia series, Charlotte’s Web, and for her we are going to add Pollyanna. My son and I read mostly fantasy. I used to read the classics but now I find myself always looking for a new story or a fun retelling. My son is crazy over Greek and Roman myth. We are a family that enjoys martial arts movies and have lots of weapons, so it was normal when one day my son at 6yrs clung to a history book on Ancient Roman weapons. That eventually lead him to Percy Jackson. This series really led him into his love for reading. He read those books till they fell apart. I had to buy him the series 2xs, and by the look of his newest set, I may have to find them in hard cover. He still reads them at least 3xs a year. He used to love the Wimpy Kid books, but grew out of them quickly. He also enjoys the books for his classes. This year his class is reading the classics I used to read. Its exciting to see how he feels about them. 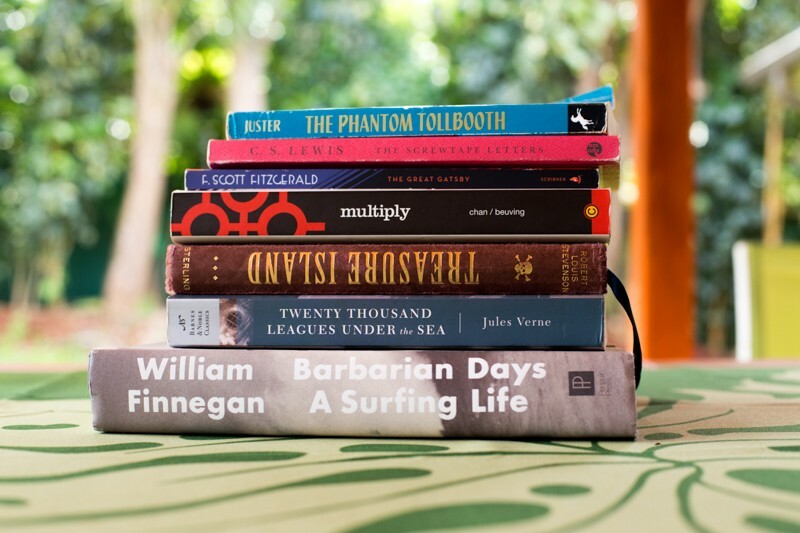 Hemingway, Shakespeare, Greek Tragedy, Brit Lit, were all my go to reads… I love that he is getting introduced to them! His math teacher also started lending him his private collection of scifi and fantasy books. It is opening him up to new adventures. And a learn to read Bible, but I could really use some tips or book suggestions for her. She knows her sounds and phonics, but mixes them up or maybe its confidence that jumbles her sounds…idk. Thank you! This post is very timely. My 9 year old has a little too much time on his hands at school and I’ve been trying hard to think of some good books to challenge him. He just finished White Fang and is now reading Redwall. We are also reading Anne of Green Gables out loud. I’m delighted at how much my boys are enjoying it. What a great post!! I bookmarked this (pardon the pun) because i plan to refer back to it many times in the near- and not-so-near-future. The Screwtape Letters, the Great Gatsby, the Phantom Tollbooth (have you seen the movie from the ’60’s?) and James Herriot are the ones that caught my eye as awesome books and authors! But there’s many more on your list that I’m not familiar with and look fantastic. Have any of your kids tried “A Wrinkle in Time” by Madeleine L’Engle? That was a favorite of mine that your older boys might enjoy. Part of Tommy’s required homework in 2nd grade is to read 20 minutes a day, and we’re finding that the more he reads, the more he realizes how much he likes to read, and the more he wants to read! It’s a nice cycle. And luckily there are lots of choices out there, more so these days than when i was a kid, I feel. He’s read all the Magic Tree House books and enjoyed them, and currently we are in a “Diary of a Wimpy Kid” phase. I’m going to try to steer him more towards the classics eventually, but, in these early reading years, i’m just happy that he is reading books he enjoys and that keep him coming back for more. Great post, thanks for all the recommendations, Monica! Thank you for these lists. Although my children are grown ans gone, I have grandchildren that love to be read to, and 3 that are starting to read for themselves. I loved seeing the classics that were my favorites and tp be introduced to new books that I will be pleased to introduce to Willow, Wilder, and Chapel. Both of my boys love to read! When not glued to screens…ha ha. Mostly fantasy. It is hard for me to hook them in to the classics though. My eldest (14) had to read (for assigned summer reading) “A Long Way Gone: Memoirs of a Boy Soldier” by Ishmael Bea. I think this book allowed for his genre box to expand…..he enjoyed it.